This handbag must-have removes food and drink spills on the spot. 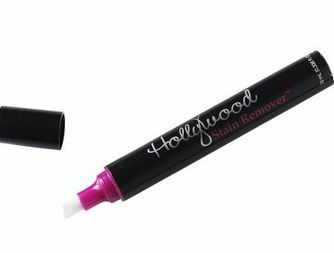 Simply remove excess residue from the stain, press the stain remover pen tip onto the stain several times to release the magic solution and rub the tip gently across the stain and hey presto! No more pesky stain to ruin your day! Perfect for coffee, tea, wine, juice, chocolate and other food stains. Not ideal for grease, blood -- even ink!